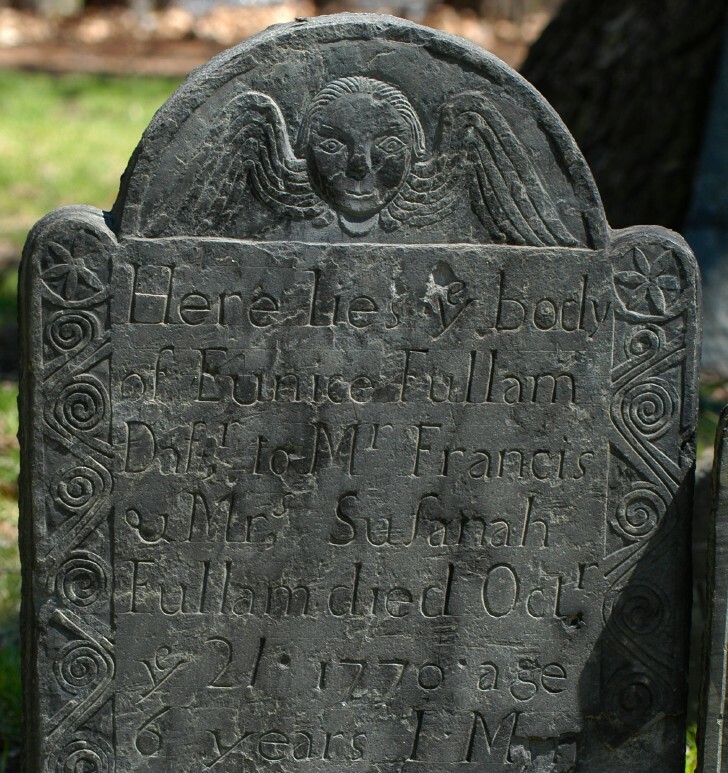 The Solomon Taylor stone in Stowe, MA (1773) is a hodge-podge of weird lettering (the w in "who"), awkward spacing (throughout), and bad spelling ("mus," "Prepar," etc.). I can almost convince myself that the carver just hacked away free hand, without any sort of draft, but the visible ruling lines indicate at least some forethought. These verses are from a hymn by Isaac Watts. Ah, that's a late Moses Worster stone. Quite a beautiful one for him, and very finely done. His coils and pinwheels are unmistakable, inherited through his father from the very early Essex County carvers. And he was no writing-master, that's for sure.